Read Catherine's front page article in the Aurora Banner! 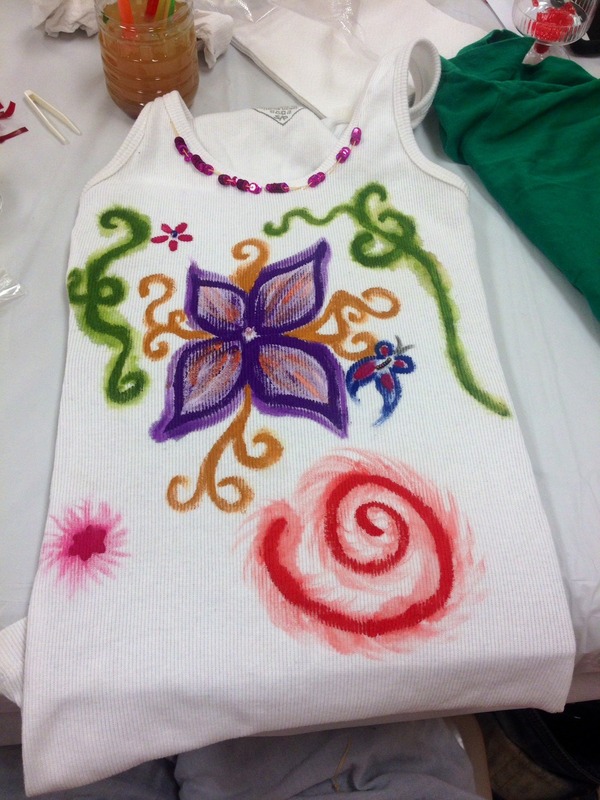 Enjoy self expression and creativity with a small group of fellow budding and blooming artists! 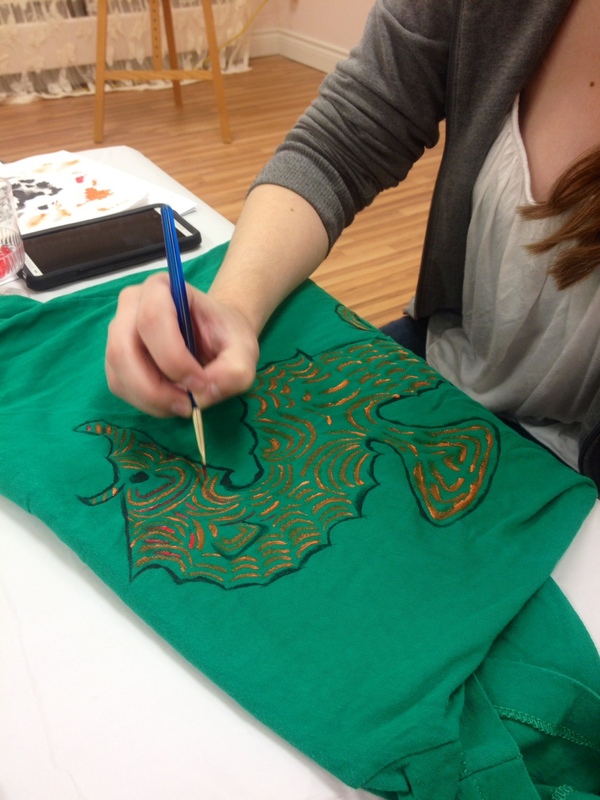 Create meaningful art and enjoy wearing it! 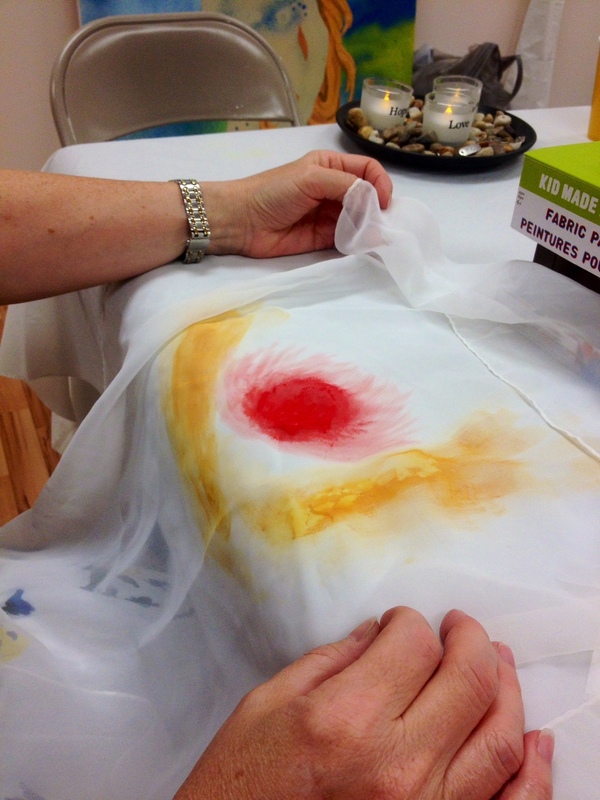 Join us as we paint, stitch, dye, embroider, and other wise enhance t-shirts, hats, pants, skirts, shorts, purses or other items you may bring to create what we are calling "wearable art"! We'll supply paint, leather, beads, charms and other materials to enable you to create your own unique fashion. Some examples include jeans, hats, purses or anything else you'd like to paint, dye, stitch and fashion. Art supplies provided. No previous experience required. Visit the art blog for photos of deeply meaning-full art worn as regalia by performers at the June 21st pow-wow in Newmarket.